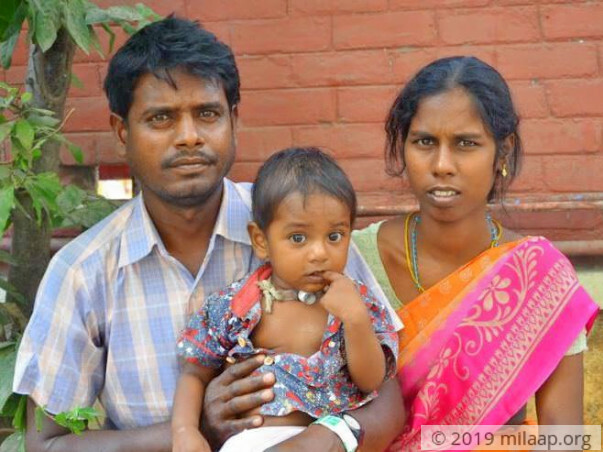 Jancy Rani and Anthonysamy were a happy couple with two children Roshan (2) and Joel (1). They did not have children for four years. When their two precious sons were born they were on cloud nine. 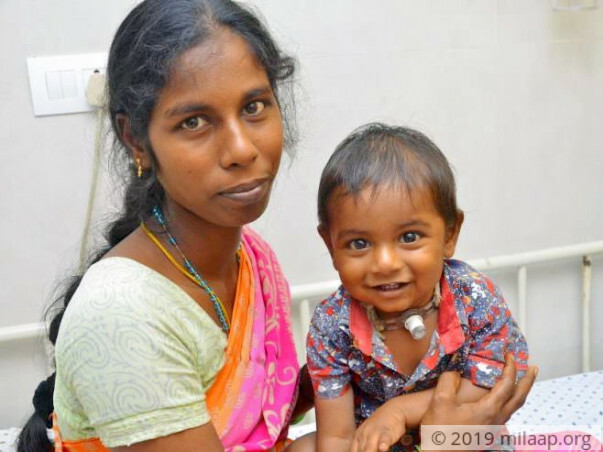 When they were hopeful of raising their children healthy and happy, an unexpected tragedy happened. Joel has a block in his windpipe and he has been struggling to breathe. Joel was a very active and happy child until he turned 11 months. Suddenly he had a high fever and was diagnosed with dengue. Since then, his condition deteriorated, and he never got better. He struggled to breathe. 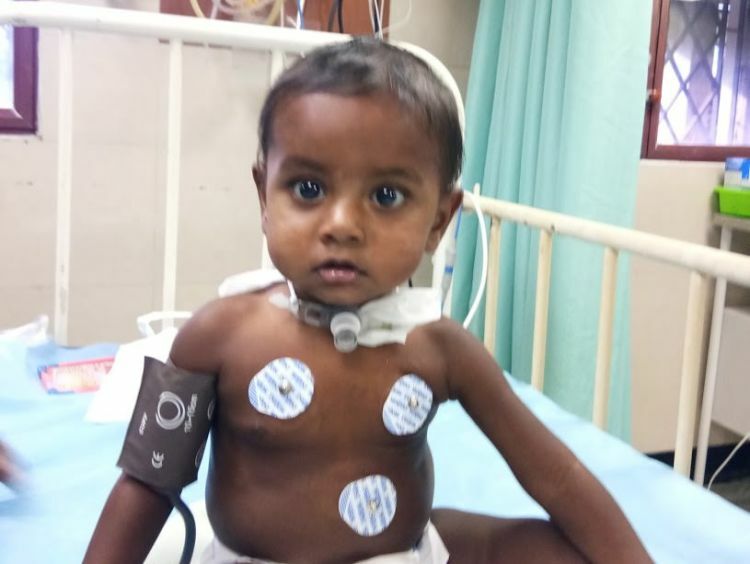 His parents rushed him to a hospital in Chennai. The reports confirmed that his windpipe is blocked and told them that he needs an urgent surgery. 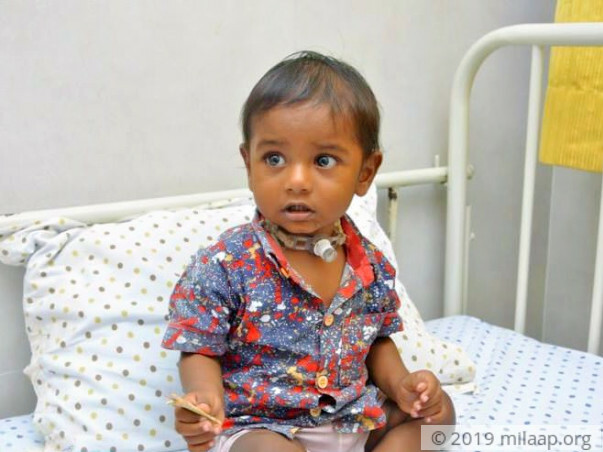 Within few days, Joel's health deteriorated. 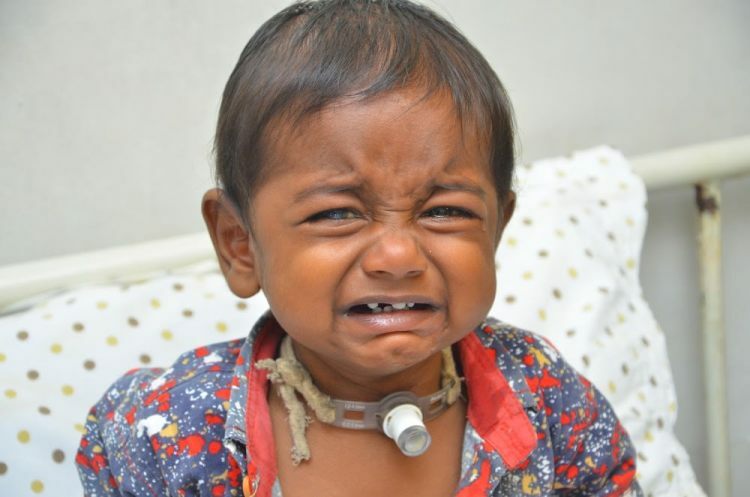 He needed an Emergency Tracheostomy and he is now breathing through the tracheostomy tubes. 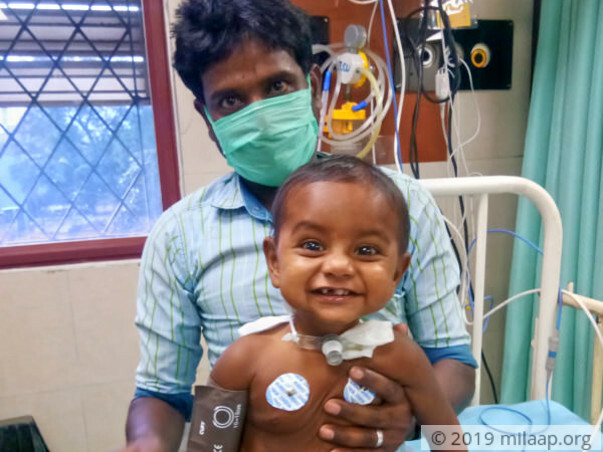 He cannot survive like this for a long time, he requires tracheostomy closure reconstructive surgery to live a normal life. 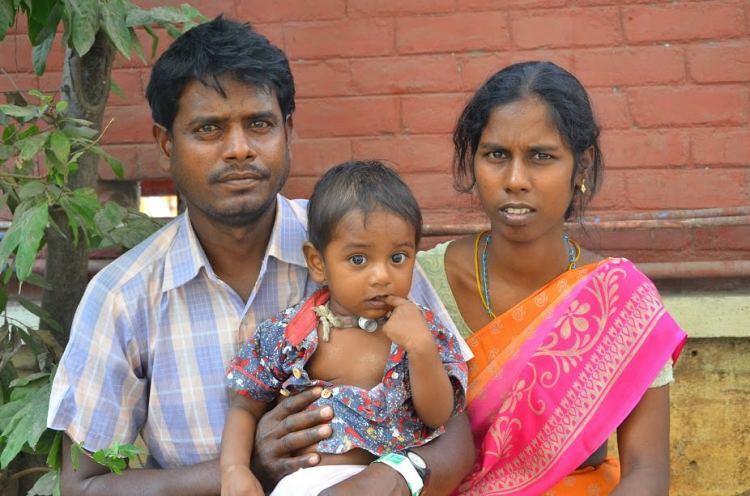 Jancy and Anthony are from Villupuram and have come to Chennai for the treatment. They are struggling all alone with 2 little children. Joel is supposed to be at the hospital until next surgery. Unfortunately, they cannot afford to pay the hospital expenses so they have taken him back home with a heavy heart. They are frustrated and do not know whom to plead for help. Joel has recovered from breathing trouble and fever. His health is better now but without the closure surgery it may turn out fatal soon. Anyone would fall for his smile, he has been very strong despite the suffering. His parents are desperate to save him. 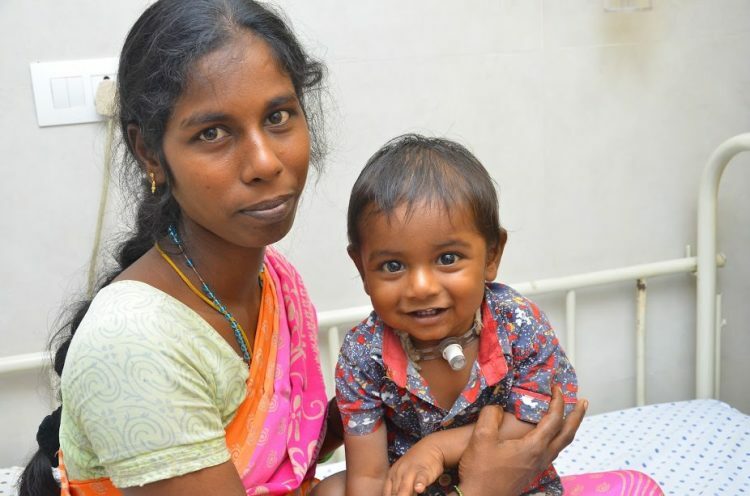 They are running to everyone they know to arrange money for his life-saving surgery. 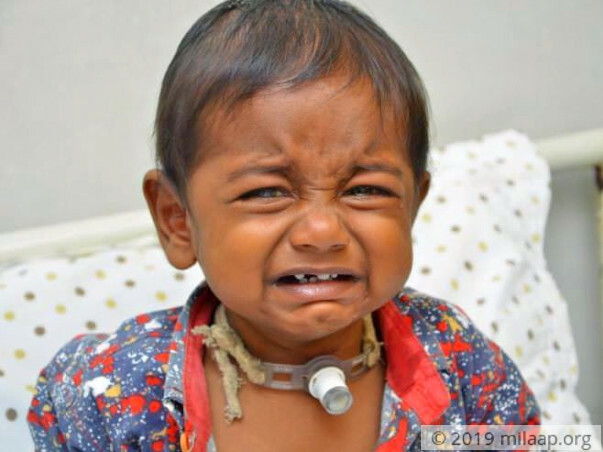 "I felt I'm the worst father in this world when I had to take my son back home knowing his condition. He was still holding onto me. He trusts me. I can't let him go but how can I manage to get so much of money? I have no strength to even look at him. I'm willing to do anything to save him. I cannot forgive myself if I lose him." - Anthonysamy. Anthony is a daily wage worker. He doesn't get a job all the days in a month. Ever since the diagnosis, he is struggling to get a job. He is working day and night and saving every rupee he gets. He even skips his meals. He is physically and emotionally exhausted. Now he is relying completely on the generosity of the strangers to save his son. 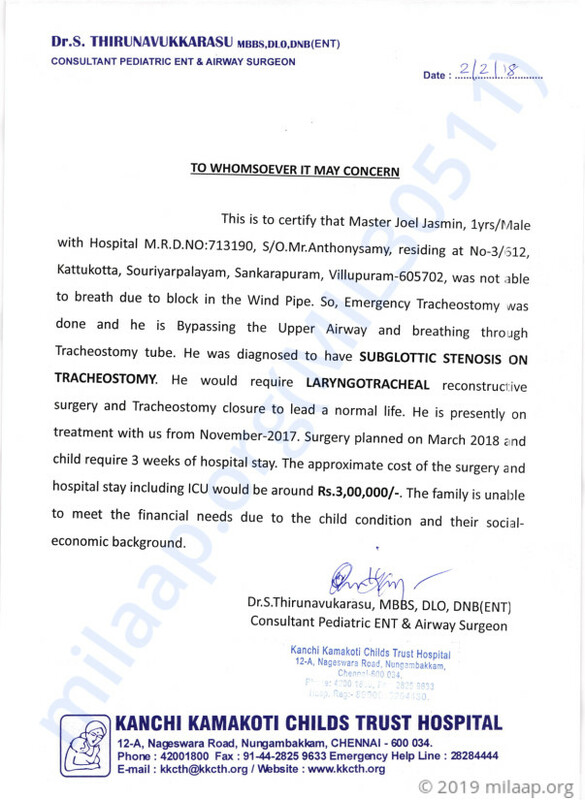 Anythonysamy earns Rs 300 per day. He supports his family of four with the meager income. He has nothing to sell. He has borrowed heavily from his friends and he is neck deep in debts. He is desperate to save his son. Joel has a high probability of recovery if he has the surgery at the right time. 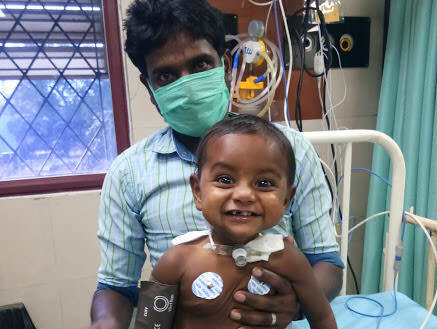 He needs Rs 3 lakhs for the surgery. Your contribution can save little Joel's life. Joyal is now doing well and the tracheostomy tube was removed. He is now at home and has been advised to visit the doctor in about 15 days' time. Thank you everyone for being so supportive! Thank you for your immense love and support. This couldn't have been possible without you. Joel is now feeling better. He's active now and is back home.He's required to be taken to the doctor regularly for checkups. The doctors will be observing him closely for any irregularities. He's being fed via tube which is also helping him breathe normally. An operation is yet to be done in order to remove that tube. This will be done to see if he is able to breathe on his own. We are all hopeful about his recovery and excited to see him getting back in shape.